I am of the belief that a good ‘ol scene study class is all you really need. Sure, the other specialty workshops help too (Casting Director workshops, comedy-intensives, cold reading workshops, etc) but unless you’re somehow independently wealthy, it’s tough enough swinging even one class. If you’ve got money for the one class, I say make it a Scene Study course. A scene study class usually focuses on script analysis and performance technique. 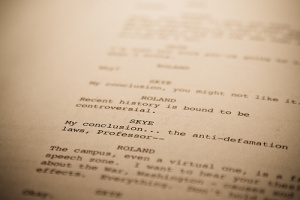 Depending on the studio, scripts from both films and plays are selected. Through my research of the standard acting studios, where the focus is on scene work, the same places always came out on top. Don’t believe me? Then spend the next couple of months scouring casting director blogs, actor resumes and auditing classes. Yes there are many, many other also reputable places out there, however these are the ones people want to see on your resume. And no matter how you look at it, a “name” studio makes a difference.